Choosing a kids bed is exciting on many levels. For your growing child, choosing the first big kid bed is a step that marks the transition from baby to child. For parents, a big part of planning a room revamp comes down to choosing the right bed. 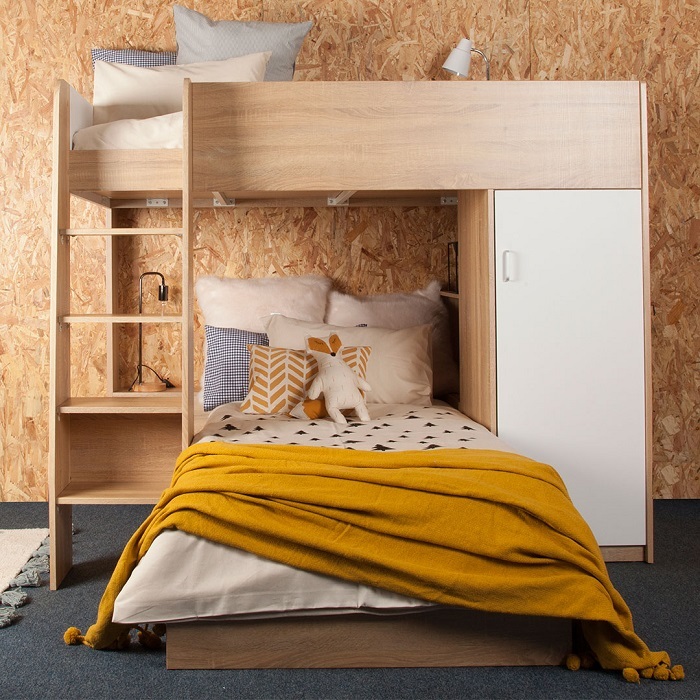 In this guide, we take a look at the three main types of kids beds – single beds, double beds, and bunk beds. Single beds are ideal for kids of all ages. Compact enough to fit into even the smallest of bedrooms, these beds can double up as day beds when not in use. A number of cots are designed to convert into single beds, allowing your child’s bed to adapt as they prepare to progress to a big kid’s bed. If you have one child and a smaller bedroom, a single bed will see your child through each stage, all the way to their teenage years. For two kids, a pair of single beds can also be a space-efficient solution. Double beds offer more room, but they also take up more space. This makes them best suited to larger bedrooms. As a general guideline, larger beds are best suited to older children, restless sleepers, those who sleep with a large selection of toys and those who simply prefer having more space to move around. Your child may request a bigger bed when they feel ready to progress, or they may be happy to stick with a smaller bed. Ultimately, the move to a larger bed will often come down to space requirements and personal preferences. Bunk beds are a space-savvy solution to smaller rooms. These beds are a good choice for shared bedrooms, as well as those who frequently have friends over to stay the night. There are many ways to configure a double bunk. Some kids prefer to keep the bed on the floor, with the top bunk area used as a play area, mini lounge or even a reading nook. Others prefer to sleep on the top level, keeping the ground level for desks, additional beds, couches or cupboards. The versatility of bunks makes them a popular choice for kids of all ages. The choice between single, double and bunk bed is very often a combination of personal choice and practical planning. Beds that are made to adapt to the changing needs of your child are almost always the most affordable, simple and efficient choice. To view the wide range of beautifully crafted kids beds available at Clever Little Monkey, head on over to our online store and shop kids furniture today!